After admitting to purposely slowing down iPhones in sight of degraded batteries, Apple tried to mitigate users’ outrage by slashing the price of battery replacement to $29. While this might help regain confidence among owners who have easy access to Apple-authorized repair centers, it still peeves users who are dependent on DIYs and third-party repair shops. To remedy this, pro-DIY repair guide iFixit has also reduced the prices of its battery replacement kits on par with Apple’s tariff. iFixit notes that it has witnessed a 300 per cent increase in the number of people mending their old iPhones’ batteries using the provider’s solutions. It claims that despite limited prior experience with electronics, ‘millions’ of iPhone users have learned the trade of repair through iFixit’s guides. In the month of December alone, more than 509,000 people sought respite from their battery woes with the help of these guides. 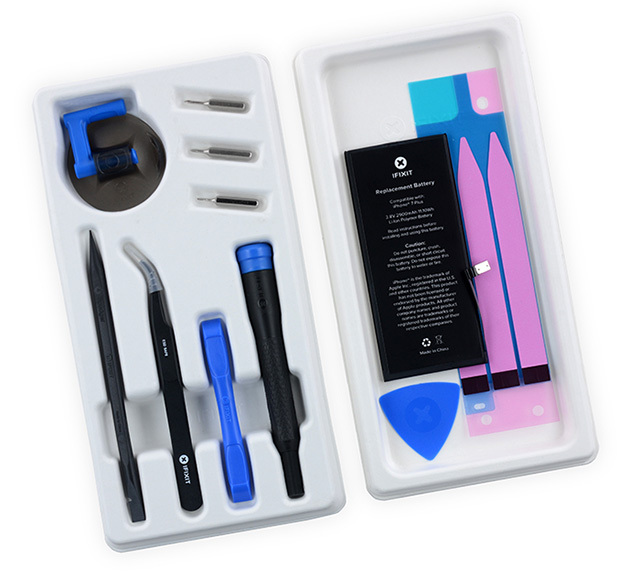 iFixit vouches self-repairability for the simple yet important factors of convenience, privacy, and ready availability. It’s also fun, the repair gurus claim. It’s interesting to open up your stuff, find out how it works, and make it function better. It also protests Apple’s behind-the-scenes attempt to choke users’ rights of repairing their phones by themselves. Apple, along with 13 other American corporations including Verizon and printer company Lexmark are “lobbying” to have the “Fair Repair Act” repealed. This will allow companies to put “software locks” in place to limit unauthorized or non-official repair options. There’s no doubt that reducing the price of batteries appears to be a short-term solution, claims iFixit. While the public outrage has brought Apple to its knees, the discount is temporary, and there is no guarantee of the tech giant conceding to supplying batteries freely. Until then, iFixit’s solutions make sense – at least for sensible ones who want to save money. While Apple has opted to provide replacement batteries for iPhone 6 and upwards, iFixit also offers solutions for older phones such as iPhone 5s, 5, 5c, and even the age-old iPhone 4s, so you can keep rocking your favourite old iPhone even in 2018!